Simple Country Living. : ...... and I thought my seed collection was big! ...... and I thought my seed collection was big! Today I began the mammoth task of blitzing my house. I have lived here for almost 10 years now and I am not used to living in one place for such a long time. This means that periodically I have to paint a room or move things around and today, I decided that it's time to do a major re-shuffle of the furniture. While cleaning out one of my moveable cupboards in order to make it light enough to actually move without giving myself a hernia, I came across some packets of seeds. I have to confess, I'm a bit of a hoarder. I don't like to throw things away if I can possibly put them to good use and seeds that are still within their plant-by date definitely fall into that category. Even if they will be just a bit over that date by the time I come to plant them next year, I just can't bring myself to throw them away. As a result I have a fairly substantial seed collection. Two boxes of junk later, I was bored and was checking my emails while flicking through newspaper articles online, when I came a cross an article in the Daily Mail that looked interesting. When I say interesting, what I actually mean is an article about something other that a vacuous, celebrity air head with a bust size bigger than her IQ. 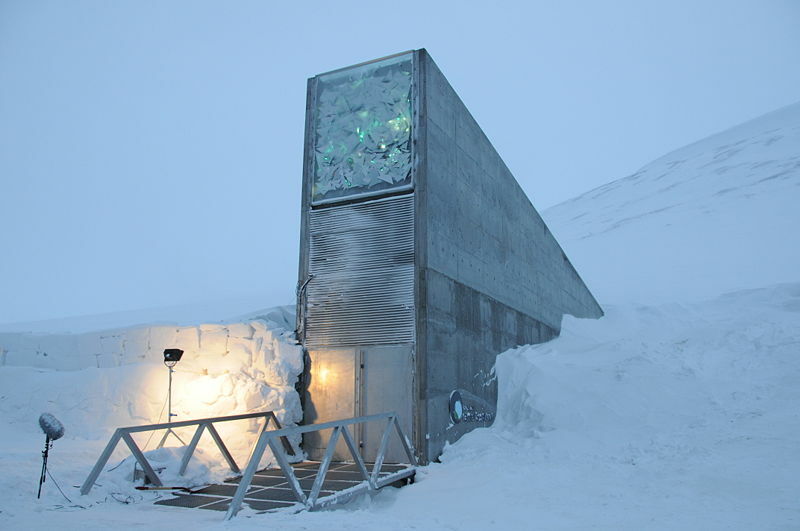 It was an article about the Global Seed Bank in Svalbard, Norway. So, as I usually do after reading any Daily Mail article, I did a bit of on-line fact checking and geekiness and I have to confess, I found it fascinating. 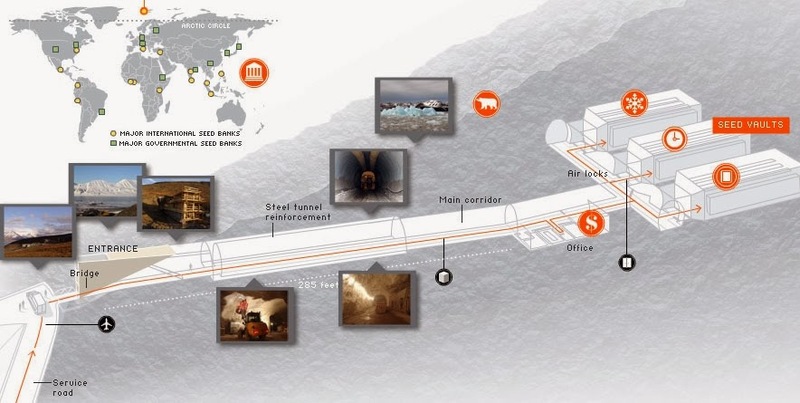 Deep underground, 130m above sea level is a storage facility blasted out of the permafrost, where up to 4.5 million seed varieties and up to 2.25 BILLION seeds can be stored at a constant temperature of minus 18 degrees Celsius. The aim of the Global Seed Bank, which is even able to withstand a nuclear strike, is to preserve crops in the face of climate change, war and natural disasters, which means that if the human race messes things up completely, there will be some hope of re-starting agricultural practices should the worst happen. 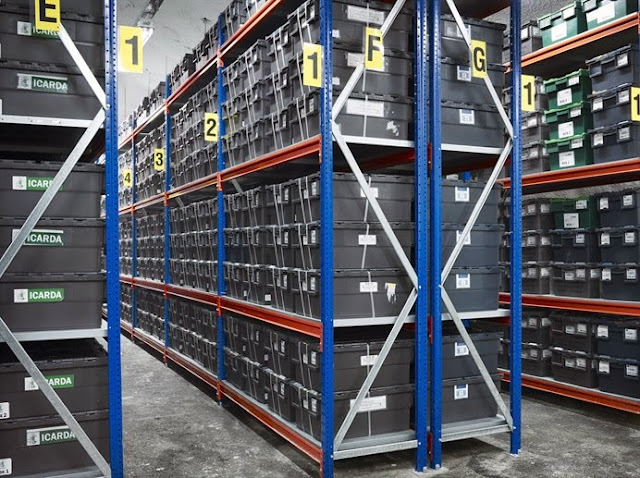 Not a very cheery thought but good to know nevertheless The seeds have been deposited in the seed bank by gene banks all over the world and will only be used in the event of all other seeds in these gene banks being lost. Storage priority is given to crops that are important for food production and sustainable agriculture which is vital for developing countries where food security is of the utmost importance. Apparently, more than 7,000 plant species have historically been used in human diets however, less than 150 species are today used in modern agriculture and only 12 plant species now represent the major vegetable source in today's menu. Another fun fact, there are over 100,000 varieties of rice!! Who knew!? All data taken from the Global Seedbank Website. Fascinating stuff - I have a few dozen packets I could add to their collection. Fantastic, who knew? I had a purge on my seeds in spring. Some of them were years old so I threw them away and bought new.